A trip to the Anasazi State Park Museum is a unique and fulfilling experience. Surrounded by the beauty of Bryce Canyon County, the museum is located in Boulder, Utah, right on the edge of the 11,000-foot tall Boulder Mountain. Though this Utah Anasazi cliff dwelling is just under two hours from Panguitch, it’s worth a visit. Take a day trip through Bryce Canyon County and stop at several state and national parks along the way! 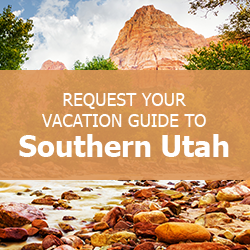 Aside from the Anasazi State Park Museum, there are tons of historical and outdoor places to visit on your trip to Southern Utah. To help cut down your planning time, be sure to request a copy of our complimentary Vacation Guide! Inside, you’ll discover local recommendations on attractions, outdoor activities, and restaurants in the area. Happy exploring! To get a glimpse into the history of Native Americans in this region, you should visit the remains of the Anasazi cliff dwellings in Utah. Referred to as the Coombs Village Site, this area is believed to have been occupied by the Anasazi tribe from the year 1050 AD to 1200 AD. You can spend the day perusing the museum, then exploring these Anasazi cliff dwellings in Utah. Though the Anasazi people inhabited the Four Corners region, they also made camp closer to the center of Utah, where the Anasazi State Park Museum now stands. This ancient group of Native Americans is believed to be the ancestors of modern-day Pueblo Indians. Visit the Coombs Village Site for insight into the life of the Anasazi. This archeological find proves that people settled in this area unlike many who were still nomads. With room for up to 200 people, the site is also believed to have housed the largest community west of the Colorado River. The Anasazi State Park Museum is the perfect stop during a day in Bryce Canyon County. You should consider stopping at this park while on your way to other nearby activities as there are three other state parks nearby. The small, six-acre park features a pueblo-style village with six rooms. The original site, believed to have nearly 100 rooms, was excavated and reconstructed to reflect the authentic style and condition of the homes. Built near the edge of the mountain, these Anasazi cliff dwellings are a marvelous piece of Southern Utah’s rich history. Though the Coombs Site remains mostly unexcavated, there have been several archaeological digs in the area. The treasure trove of artifacts discovered by archaeologists is now housed in the Anasazi State Park Museum. Walk through the facility to examine the unique and beautiful pieces of pottery, arrowheads, and other utensils. A look at these ancient items provides an understanding of how the Anasazi lived. Aside from the museum, there is also a theater that often exhibits local art and photography. While the state museum is the closest place to see Anasazi cliff dwellings in Utah when staying in the southern region, you can look for more ruins at Goosenecks State Park. Just over an hour from Duck Creek Village, this park encompasses plenty of interesting sights. Follow the route to the Natural Bridges National Monument, then hike into the canyon to admire the landscape. Along the way, you’ll be able to spot even more Anasazi cliff dwellings and three fascinating natural stone bridge formations. Come Home to a Family Time Vacation Rental! After spending the day exploring Bryce Canyon County and the Anasazi State Park Museum, unwind in one of our Duck Creek Village vacation homes. If you’re interested in exploring several of the nearby parks, browse our properties near national parks instead. Whether you’re traveling with a small family or a large group, we have plenty of properties to suit your needs. Anyone planning a trip with multiple families should consider this Lost Creek Cabin with room for up to 14 guests. You’ll love the log cabin, mountain retreat ambiance as well as proximity to parks, hiking trails, and several lakes. Plus, if you book a six-night stay in this property, you’ll enjoy a free seventh night!